I had previously posted a schedule of Canada Cup ID camps for 16/17 years olds. At the same times and locations, the Talent ID camps will be held for 13-15 year olds interested in trying out for the Alberta Zone Championship and the Western Canada Summer Games. Please look here for registration and other information. Due to the recent poor weather in the southern part of our province, the first camps have had to be postponed. 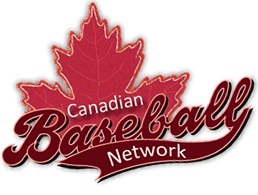 Please look at the Alberta Amateur Baseball Council's website for updates on rescheduling.